You know how there are some things you NEVER forget from your childhood? Like your first new bike, your first kiss, your first car…well, I also never forgot this amazing cake my mom would always make. The bundt, it’s such a simple but elegant cake. Good enough for a BBQ but also perfect for a formal dinner party. My mom would make this cake all the time, especially in the fall filled with apples, cinnamon and walnuts. Something about the way the apples cooked between the batter made it so divine. Sweet but not too sweet, slightly dense but yet still light and fluffy. I don’t typically like messing with perfection but I thought, what if this cake was filled with seasonal fruit??? 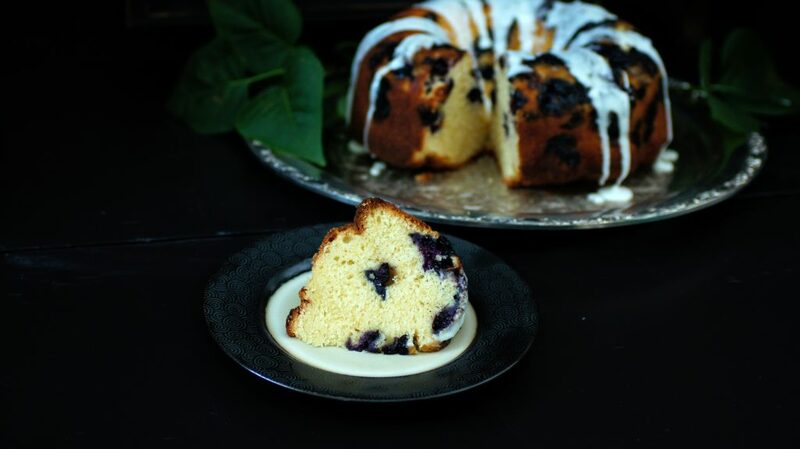 The batter is perfect, so why not enhance it with blueberries, it could only be sensational! I hope you enjoy this cake as much as I do. Whether you fill it with blueberries, enjoy it plain or find something even more amazing. I would love to see your creations! Tag me on Instagram @CosettesKitchen or post on my Facebook Page. 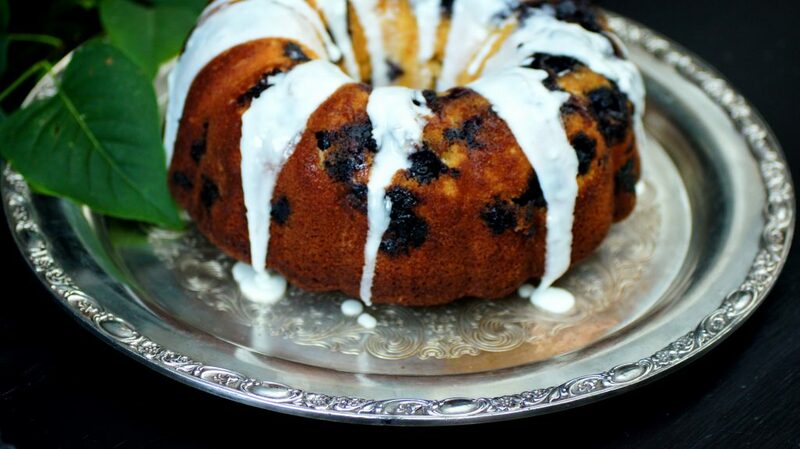 This bundt cake is amazing and perfect for any occasion. Serve plain or with some ice cream on the side. Grease a bundt cake pan using baking spray or coat with shortening and dust with flour. Be sure to get all the crevices if your bundt has grooves. Mix your blueberries and brown sugar in a small bowl and set aside. In a mixer fitted with a paddle attachment add your eggs, vanilla, bourbon/whiskey, grated lemon and sugar. Mix for 2-3 minutes until combined. Sift your flour, baking powder and salt together and slowly add to the egg mixture on low. Add oil and orange juice at the end and mix until combined scraping sides down as needed. Pour half the batter in your bundt pan. Tap the bundt a few times on the counter so the batter fills the pan evenly. Add your blueberry mixture on top of your first layer of batter. Top your blueberry mixture with the rest of your batter. Remove and let cool. Drizzle glaze and enjoy! Mix confectioners sugar and lemon juice until smooth and silky. Add in your milk/half and half. If your mixture seems too thin, you can add more confectioners sugar or more milk/half and half if it's too thick. This cake is extremely adaptable. You can bake the cake without the blueberries and it will still be delightful. Or fill with whatever fruit or nuts you'd like!